The Omega Seamaster Diver 300m, a line celebrating its 25-year anniversary, is a timepiece Rajiv resonates with, as it maintains the balance between constant innovation and still holding on to traditional values. According to him, the ability to reinvent oneself is vital in achieving longevity in staying relevant to society. “What might work today may not work in the next 5 to 10 years, so I believe that one must always be open to accepting constructive criticism. 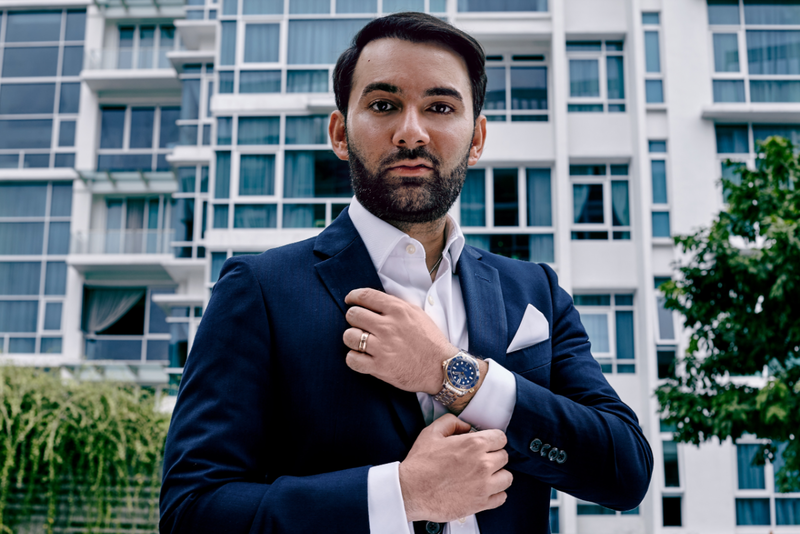 If you take a look at all the businesses that have been disrupted today, most of them were because they failed to reinvent themselves to adapt to the times.” This rings true, as not only Rajiv personifies this belief, but also the Omega Seamaster Diver 300m, a timepiece that accommodates perfectly to the requirements of today’s wearers while still remaining true to its roots.